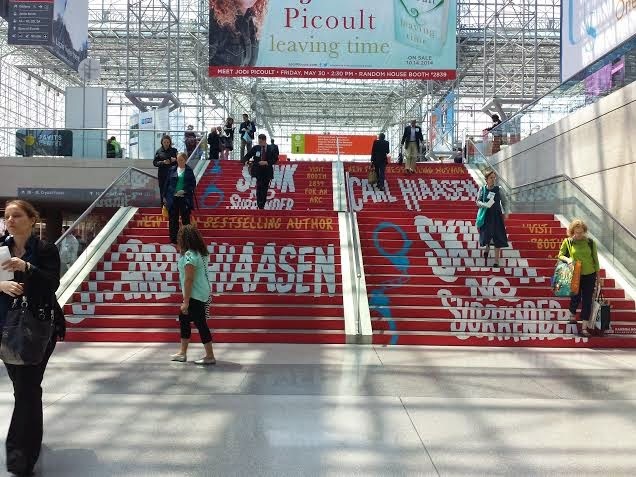 Armchair Book Expo Headquarters: LIVE FROM BEA: From The Floor Of The Expo! 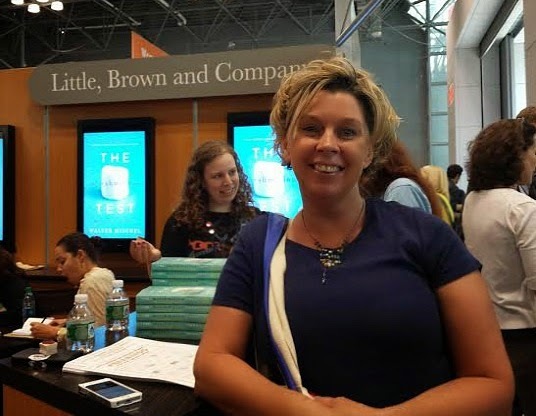 This is Sheila from Book Journey, LIVE but tired at the Expo. I had big plans to send more things your way but time just got away from me. I have another Publishing house interview today for you, but in the meantime thought I would share a couple things about the expo. It's crazy awesome. I am having a blast but running and chatting with authors, publishing houses, and of course, fellow bloggers which is so great! Here are a few random pics. The first pic is of Little Brown - they are so fun and had a bingo game that if you won you were able to pick a prize. I went with a cute library kit. YAY! Second pic is at the Harper Collins party. 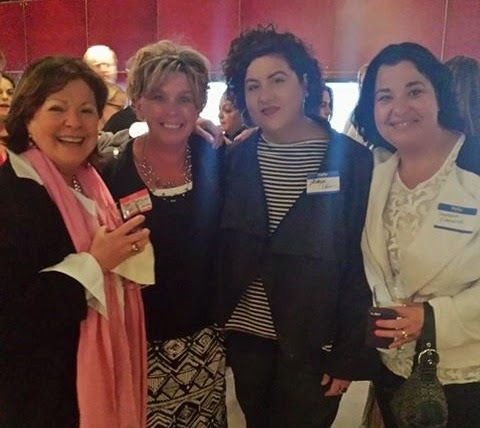 In the pic is author Dorothy Benton Frank, me, Adriana Trigiani, and Stephanie Evanovich. This was an awesome moment and maybe my favorite pic of the expo! Thank you Sheila for sharing some awesome photos! Great to see the excitement of the real-life BEA! Thank you to all the bloggers and organizers and cheerleaders! Fun! And look at those stairs?! Very cool, hahah. I love the stairs! They do something like that every year! 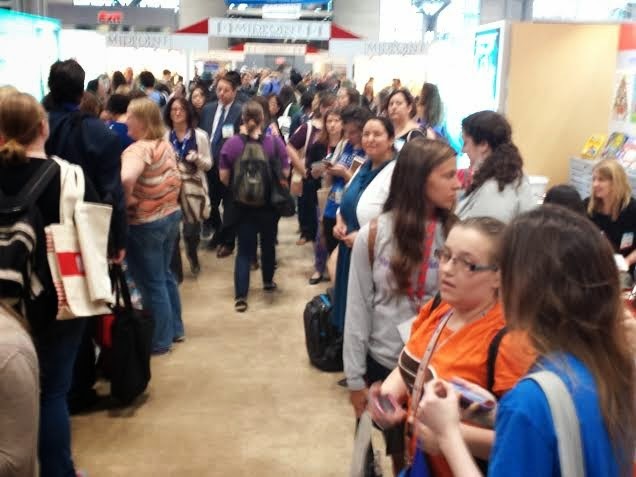 Thanks for sharing photos FROM the BEA! Love to see the photos! I wish there were more! Perhaps next year you could show us more? Maybe what a booth really looks like? We saw a glimpse of Little Brown, but I'd LOVE to see even more!! This is awesome...thanks. What I really appreciate is getting to see and have a a sense of what it would be like to go. Have a feeling it could be a tad overwhelming otherwise! I almost feel like I'm walking along with you. Thank you, Sheila! 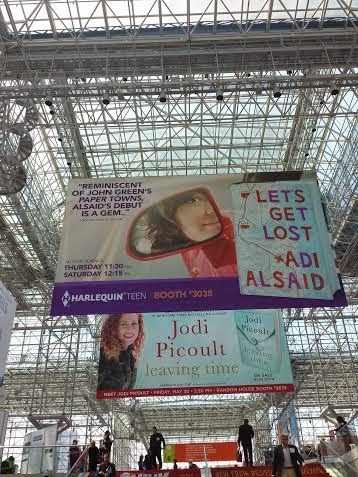 It was nice to meet you at BEA! Wow, Sheila, how great is this?! You look fantastic and SO happy! 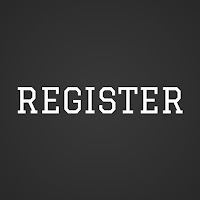 A friend of mine is a very big fan of Adriana, so I'm sending her this link. I had held onto the hope of attending on Saturday, wanting to try to arrange meeting you at some point, but it didn't work out for me to go. Oh, well : / Glad you had such a successful week!